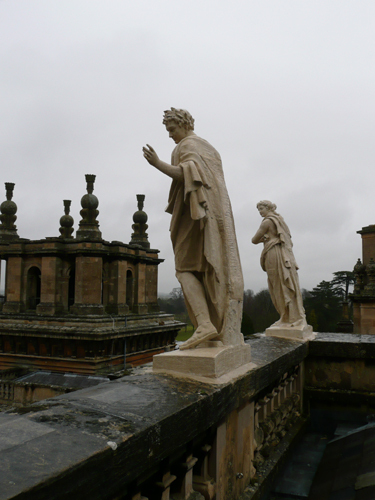 Blenheim Palace in Woodstock, Oxfordshire is the only palace in England outside those in either royal or episcopal use. ‘Palace’ is a coincidence pertaining to the origins of the site being that of the royal manor or ‘Woodstock Palace’ but is a fitting one given that the building was intended, in its current form for John Churchill, the Duke of Marlborough as a gift from a grateful nation after his victory against the French and Bavarian armies at the Battle of Blenheim. With the funding for the house coming from the people, it was thought fitting that the house was both monumental and ceremonial in style. 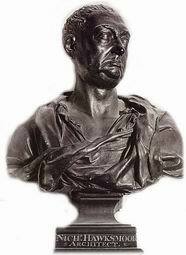 Building work started in 1705, under gentleman architect Sir John Vanbrugh. It would continue sporadically and with many interruptions until around 1724. 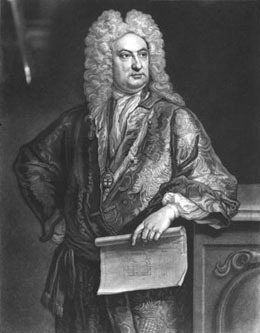 Vanbrugh was, at the time, better known as a dramatist and had just created the Haymarket Theatre – it is thought that this is where his connection with the John Churchill began. From the beginning, John Churchill’s famously difficult wife Sarah is known to have opposed her husband’s choice of architect, and she thought to have favoured Sir Christopher Wren. 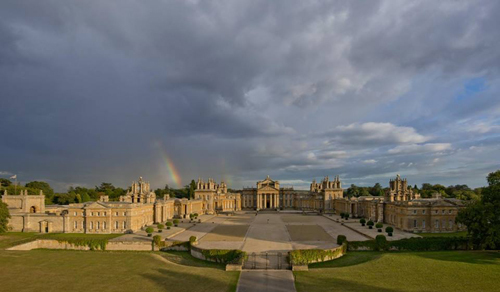 Vanbrugh would build Blenheim in severe Baroque style, which only saw favour for a short time and was fading from view even by the time Blenheim was finished as Palladianism tightened its grip on English architecture of the eighteenth century. Whilst the style of the house continues to divide critics as it did the original Duke and Duchess, there can be no doubt that the heavy, severe style of the house reflects its monumental and ceremonial importance. Vanbrugh was assisted in his commission by Wren’s ‘young man’, the ever capable Nicholas Hawksmoor but he was continually at odds with Sarah, the Duchess of Marlborough. Although there can be no doubt she was fickle and difficult, she was also conscious of the limit of the nation’s gratitude and saw the cost of the house rising ever upwards, as well as the years slipping away. For many years the Duchess was a close companion of Queen Anne but ultimately, as with most of her other friends, they fell out, and for the last time in 1711. The Churchills were forced into exile on the Continent, leaving Blenheim unfinished and the nation’s purse firmly closed to them. Work on the interior would continue for at least another decade. Craftsmen such a James Thornhill, Grinling Gibbons and Louis Laguerre would work there and Wren’s touch was brought in when he designed the library. Artisans came and went depending on the state of the Churchill finances and the Duchess of Marlborough’s temper. State apartments are dominant and there was scant consideration for family life in the construction of the original building. Vanbrugh worked on the gardens, as would Capability Brown and William Chambers, all with different measures of success. 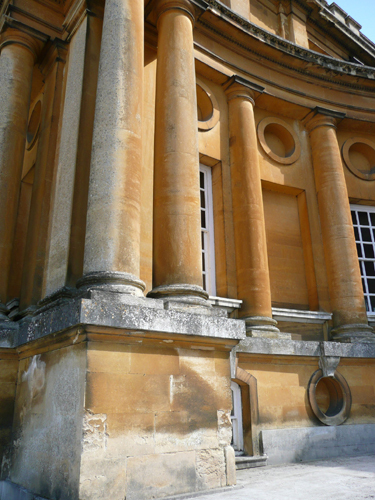 By the time Brown was finished at Blenheim, the effects of the burden of so huge a house were making themselves apparent. 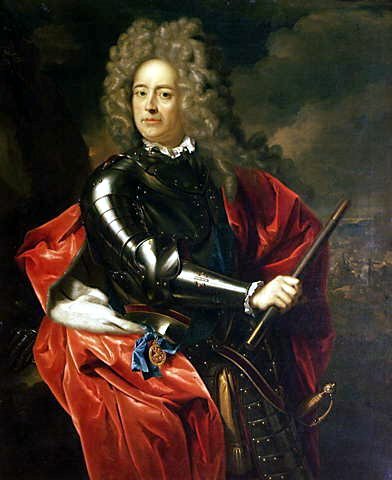 The fifth Duke was less skilled with his finances than might have been hoped and only Blenheim’s entailment due to its national importance prevented it passing from the family. The family stumbled on for another century until the 1870s (Winston Churchill was born here in 1874), when they petitioned Parliament to release them from the pressure of Blenheim’s upkeep. In 1880, this release was granted and the house suffered as art and the library were dispersed. Upon his inheriting the title of the Ninth Duke of Marlborough, Charles Spencer-Churchill married Consuelo Vanderbilt whose fortune would save the palace and allow it to be restored, if not to its former glory, somewhere close to it. The marriage was ultimately unsuccessful, but allowed the palace to remain in the Spencer-Churchill family who still spend part of the year at Blenheim. Diversification into modern business practice maintains the estate and in 1987 it was designated a UNESCO World Heritage Site. I am most grateful to Lucy Inglis for the above history of the house. I was employed to establish the decorative treatment of the windows in the Great Hall – interior and exterior. 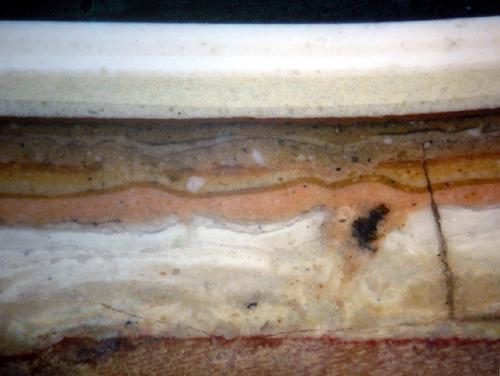 I have also carried out paint investigations at Sarah, Duchess of Marlborough’s London house Marlborough House. Very informative, although from the slideshow it looks like the weather wasn’t at its best when you were there! Is that picture of the small window and ladder the way you got onto the roof? Yes. The window is a bit like a letterbox and one has to squeeze through grabbing the rung above. It’s even harder to get back in.